Meeting Maki Takafuji for the first time at Seiryu-den in Kyoto. The city of Kyoto can be a paradox. The functional train station, workaday streets and boulevards, the normal comings and goings of its citizens, the overall grey quality of most of the recent architecture, all can elicit a potentially ambivalent response. Kyoto is a UNESCO World Heritage City with an extraordinary endowment of timeless shrines, temples, mind boggling handicrafts, legendary ceramics, world class tea and sake production, the legendary home of Noh and Kabuki, and maintains all the splendor of the once ancient capital of Japan. At first appearance, however, these wonders seem very hidden, as if the greatness of Kyoto is itself wrapped in a confusing furoshiki of the modern world. But whereas the Vatican in Rome is housed in the magisterial architecture of the Renaissance, the sibling city for Buddhism in Kyoto is an ongoing interaction with nature. 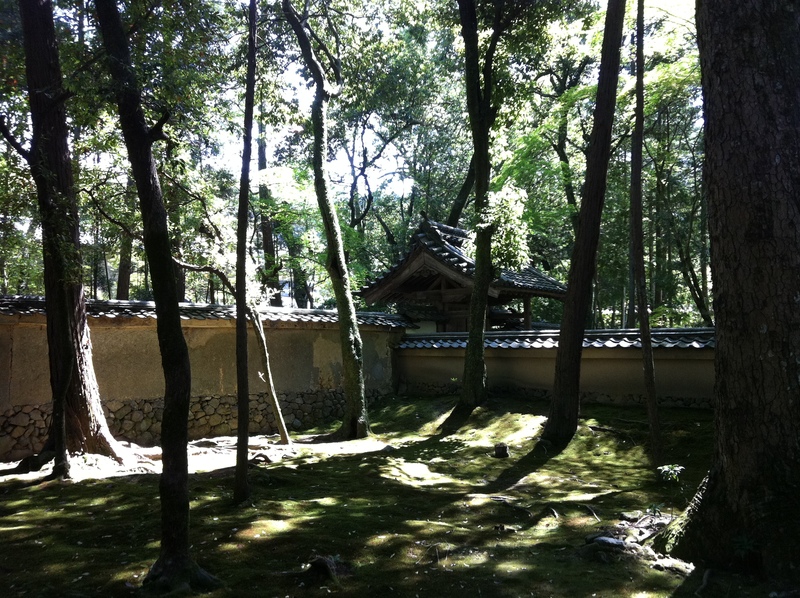 You will experience more open doors framing a view of nature in a Zen Temple in Kyoto than any Catholic Church in Rome. 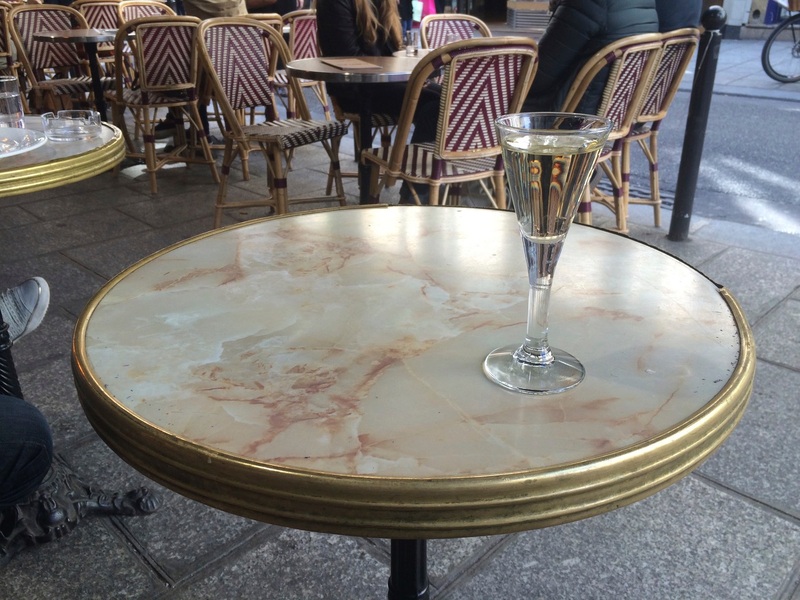 A glass of Lillet on Rue du Buci in St. Germain. If there was an Academy Award for the most influential city in the world, Paris would probably win hands down. It’s certainly played a leading role in the world of music, art, literature, cuisine, fashion, history, colonialism, architecture, poetry, sculpture, science, film, romance, photography, you name it and Paris has had a starring part. My wife Jan and I went to Paris in May to create French connections for the Hanoi New Music Ensemble and the Los Angeles International New Music Festival. It’s not coincidental but my next concert in October is hosted by the Alliance Française in Hanoi. We realized that as Americans in Paris we’d be able to build bridges for the French music community back to their former colony and formidable enemy in Southeast Asia. I like a good story and this is one of the best! At Saiho-ji Temple in Kyoto. As Autumn begins, I’ve been thinking of Japan, our friends here in California and over the Pacific in Japan. Though I’m at home in Pasadena, I’ve wanted to share with you a tour that Jan and I experienced in 2013 at Saiho-ji Temple in Kyoto, I hope a good introduction to our reunion with friends in San Francisco a few weeks ago as I’ll toggle locations in this post. 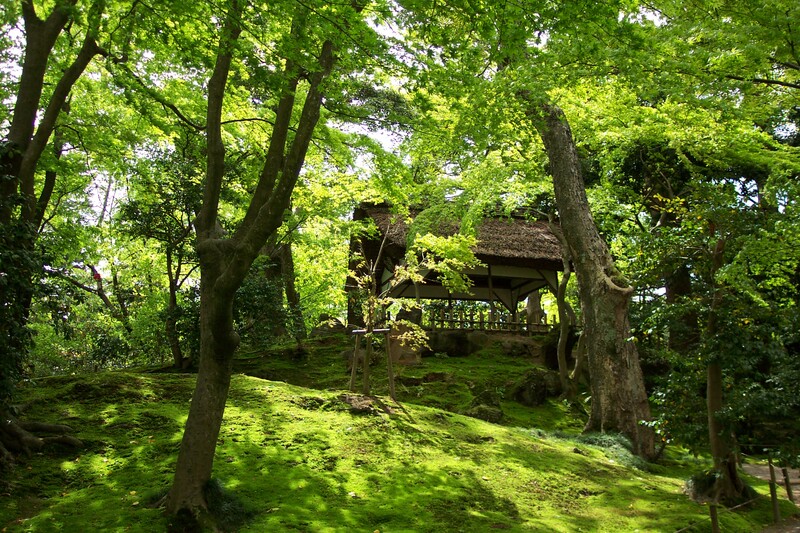 Home to hundreds of varieties of moss, Saiho-ji was the favorite Zen garden of Toru Takemitsu and inspired his Dream/Window of 1985. Let’s have a look…. 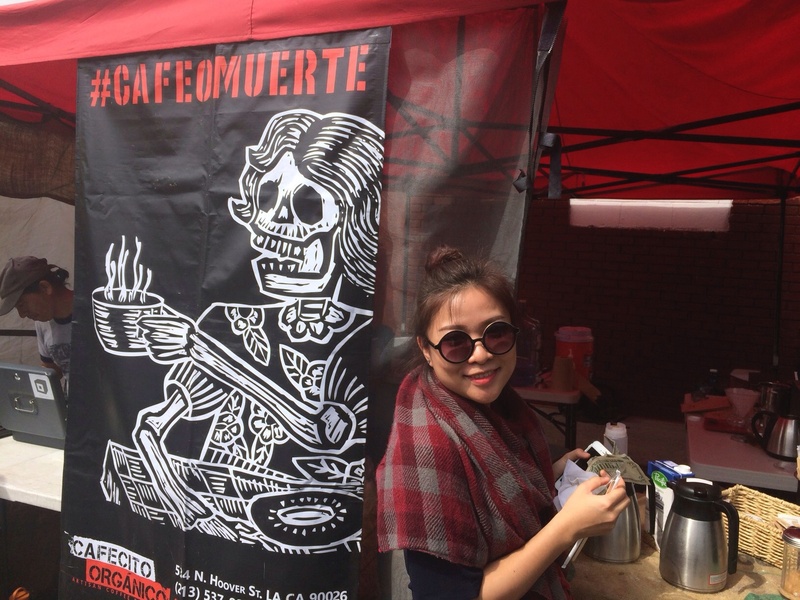 East meets West in Los Angeles as violist Do Huong Tra My of Hanoi tries Cafecito Organico at the Hollywood Farmers Market. David Letterman, the revered American comic who has been keeping us up late at night for over 30 years here in the United States, revealed the two components of a good joke. To be funny the joke has to be 1) Obvious and 2) Stupid. Say all the words right and you can cue laughter. If you are already one of my 4500 blog readers in 80 countries, you know I don’t see my LA International New Music Festival as an independent endeavor. So many ideas go into artistic decisions that adopting a single viewpoint is at the least annoying and at the worst dishonest. My thoughts and plots for the 2015 Festival continue apace, but for this post I thought I’d create an exposition of idea and concept behind the next installment. 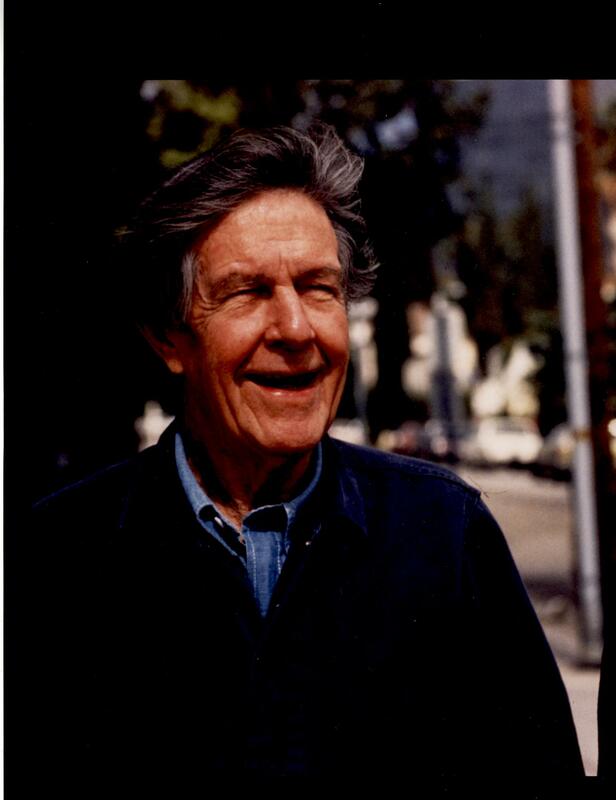 John Cage looking for his childhood home in Los Angeles in 1987 (photo by Betty Freeman). Though I’ve spent time writing about Southeast Asia, Mexico and our recent Latin Grammy nomination with Gabriela Ortiz, my blog is rooted in my LA International New Music Festival. I am very grateful that since September I’ve acquired over 2,900 readers in 73 countries. My posts will continue to cast a wide net describing the personality of my programming. But with this blog I now want to spend time here at home. No, I’m not moving to Southeast Asia or Mexico. I don’t need to because I live in LA. The viewing & tea pavilion of Haiku poet master Basho in Kanazawa, Japan. I’ve started writing this post the day after Thanksgiving here in the U.S. I’m so gratified that over 50 countries have followed my blog in its first three months. Holidays are good moments to rest and reflect. After an energetic trip to Hanoi, Luang Prabang and Hong Kong married to a trip to the Latin Grammy Awards in Las Vegas last week, the combination of Thanksgiving with Hanukkah – Thanksgivakkuh – has put me in a mood to unwind.